The Hot Stove is burning and the Red Sox will once again be players on the market. Everybody wants to know who Boston is going to get, but let’s take a look at who they should trade and why. 1) Ryan Lavarnway – The Red Sox made it clear that they intend to find someone on the free agent market as their future catcher. Brian McCann is the obvious candidate, but a player like Carlos Ruiz is out there as a solid Plan B. Even Jarrod Saltalamacchia could come back into play, but he’s not the Sox first choice. 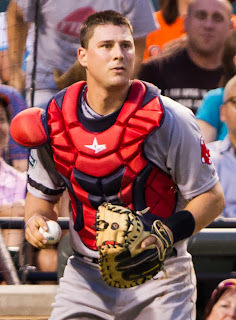 With veteran David Ross on the roster, that means Lavarnway will once again be in Pawtucket to start the season. He’s too good of a catcher not to get a chance in the big leagues and Boston would do itself and him a service to trade him away. The Red Sox would get a solid return for Lavarnway and can continue to build the lower levels of their Minor League system. 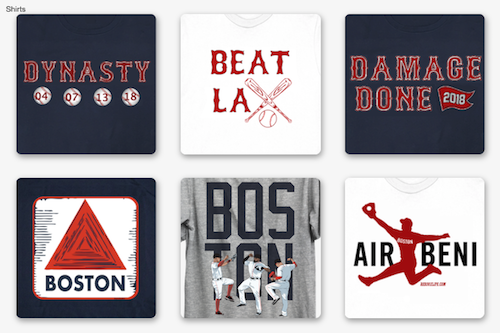 2) Ryan Dempster – The math just doesn’t add up: Boston has six starters for five spots. Jon Lester, Clay Buchholz, John Lackey and Jake Peavy will be Nos. 1-4. That leaves lefty Felix Doubront and Dempster for the fifth spot. Dempster has been in the bullpen before and thrived as a closer, but he’s not closer material anymore. Doubront showed in the postseason that he can come out of the pen as well and was a huge, underrated reason the Sox won the World Series. It’s more likely that Doubront fills out the rotation, giving Boston a second lefty and a young up-and-coming starter. 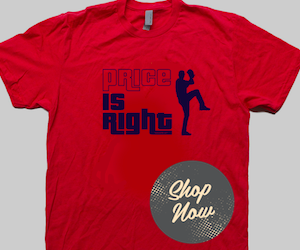 Why not trade Dempster and his heavy contract while there’s still value and get something back? 3) One of Jonny Gomes, Daniel Nava or Mike Carp – It’s very likely that Carp is not in the Sox plans moving forward and he is eligible for arbitration this offseason. Boston would be suited just fine with Nava and Gomes platooning left field alongside Jackie Bradley Jr. and Shane Victorino in 2014. This, of course, is assuming Jacoby Ellsbury signs elsewhere. If he comes back to Boston, then the Sox would have six outfielders for three spots. Bradley Jr. wouldn’t stay in Triple-A too long, as evidenced by this season. Gomes and Nava seem to make the perfect duo, so the guess here is Carp is on his way out. What do you think? Who else could be on the blocks? Middlebrooks? Doubront? Let us know your thoughts below!